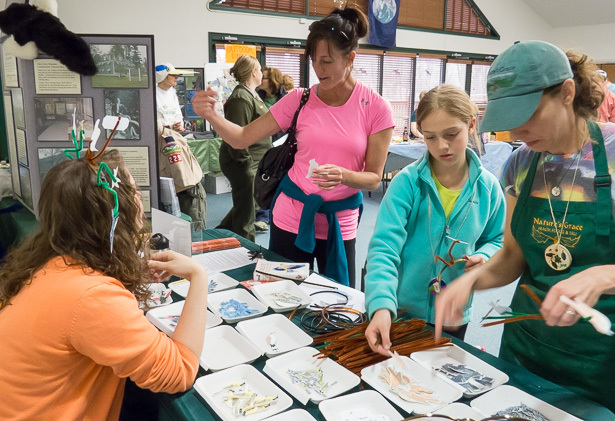 Thanks to everyone who came out to the Pike-Wayne Earth Day Festival last Saturday! Click here to see our 2014 Wayne-Pike Earth Day Photos on Facebook. Everyone is welcome, whether you have years of experience or are just starting out! Spring is finally here, bringing with it the excitement of spring migration! We have a great line-up of bird walks and other events coming up in the next month, starting this coming weekend with two bird walks. 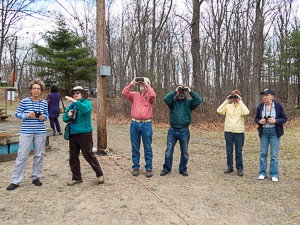 Barb Leo will lead a guided bird walk at Promised Land State Park on Saturday, May 3, 2014 at 8 a.m.
Join us as we look for newly arrived migrants and see the nesting Bald Eagles. 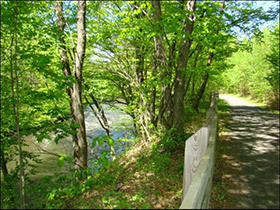 Meet at Bear Wallow Boat Launch in Promised Land State Park at 8am. Sturdy shoes and binoculars recommended. Please call (570) 676-3428 ext. 0 or Barbara at (570) 253-2364 for more information. 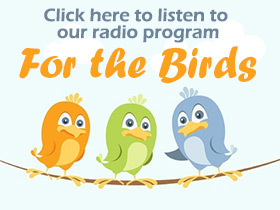 In cooperation with the Lackawanna Heritage Valley Authority (LHVA), the Northeast Pennsylvania Audubon Society (NEPAS) will host a bird walk along the Lackawanna River Heritage Trail in Archbald on Sunday, May 4, 2014 at 8 a.m.
Local birders Chris Fischer (NEPAS) and Owen Worozbyt (LHVA) will lead the walk along a recently completed section of the LRH trail in the Mid Valley. The walk is open to all – young and old, regardless of birdwatching experience – and will be easy and relaxed, covering no more than a mile along the flat (and mostly paved) trail. Participants should meet at 8:00 a.m. at the Laurel Street Trailhead, located at the southern terminus of Laurel Street in Archbald (#19 on this map). Parking is available. Binoculars and a field guide are recommended. The after school / home school group decided to identify some problems in our community and try to think of a solution to them. Our idea was to educate people so we could all make a difference together. We hope we can accomplish this with a public program to be held on the evening of May 27, 2014. My topic (or problem) is endangered animals. I thought to support those who are trying to make a difference, I could ask people to make any type of endangered species artwork for a silent auction to be held at the program. So I would like to invite you to make art of any endangered animal and donate it to my auction. If you are not willing to donate your art, but are willing to bring it to be displayed on May 27, that would be great too. All money from the auction will be donated to the NEPA Audubon Society. 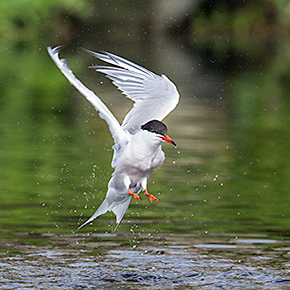 The Common Tern is endangered in Pennsylvania. Donations of artwork depicting any type of endangered or threatened species are greatly appreciated! Please call Avery at (570) 251-8546 to arrange for your artwork to be picked up. 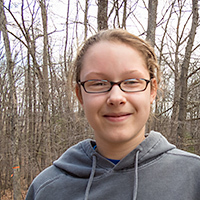 Please join us at The Cooperage on May 27th (time TBA) for the silent auction and help support this local youth-driven volunteer project for the benefit of environmental education and advocacy in Northeastern PA. This post was updated with additional details on April 26, 2014.